The back-and-forth chatter of who will go home a winner on Tony Awards night must come to and end, as the ceremony this Sunday draws closer. Stage Rush predicts the winners below! AUDIO: Listen to Stage Rush editor Jesse North give his Tony Award predictions on WGHT radio’s “Curtain Call” (hosted by Teisha Bader). 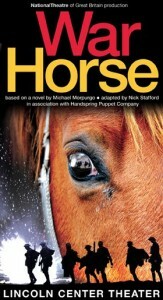 I’ve heard rumblings of a desire for an American playwright to take the award this year, but War Horse is too commercial and awe-inducing not to win. There’s no contest here; the Mormons have it. 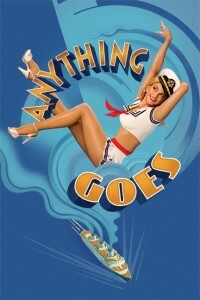 I would like to see the tired Anything Goes lose out here, but there isn’t enough critical love for How To Succeed. Bobby Cannavale gained a lot of momentum with voters, but Mark Rylance’s fully-immersive performance will win out. Francis McDormand is thought to be the front-runner here, but we could see the young starlet Nina Arianda triumph on Tony night. My bets are on this surprise. Hands down, the toughest category to predict this year. Voters will want a Mormon actor to win, but Josh Gad and Andrew Rannells will split the votes. The best odds to go Norbert Leo Butz and Tony Sheldon, and I expect the beloved Butz to take it. The snooziest major category this year. Sutton Foster will win, because she’s a pro and always delivers. If there’s an upset, it’ll come from Patina Miller, who is a shiny, new star. Edie Falco tends to win any award she’s nominated for. 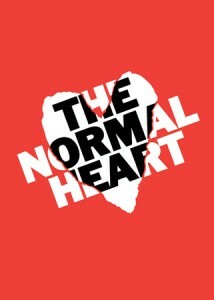 However, The House of Blue Leaves doesn’t have a fraction of the love from critics and audiences that The Normal Heart has. The two Scottsboro Boys actors don’t have a chance, as they’ll split the vote (the nomination is their victory). Rory O’Malley has the upper hand here, but an upset could come from chronic award-winner John Larroquette. This will be the shocker of the night. Mormon probably should win this award, and will be expected to do so, but the final collaboration between John Kander and the late Fred Ebb will prove victorious, and will serve as Scottsboro’s umbrella win for the night. What do you think, Rushers? Have I got my predictions pretty on point or am I missing the target in some categories? Who do you think will go home the big winner? What are you most excited to see during the ceremony? Leave all your Tony hype in the comments below! 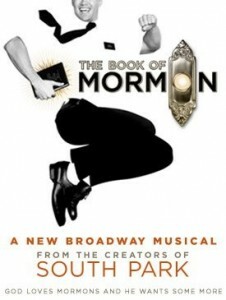 I am definitely psyched for this year’s Tonys and I have no doubt that the Book of Mormon will be the big winner. The 14 nominations are great, but after they win best musical and Trey and Matt give their acceptance speech, that play is going to go into another stratosphere. No matter who wins on Tony night, such a polished and professional radio interview takes the award. Congratulations on branching out to another form of media. Can’t wait to see you on TV soon. I hope you are wrong about Josh Gad! I really hope he wins!! He is so great, and he’s also great as Gigi online! You did very well. And your comments were interesting. I did okay, too, for an amateur — 4 wrong.